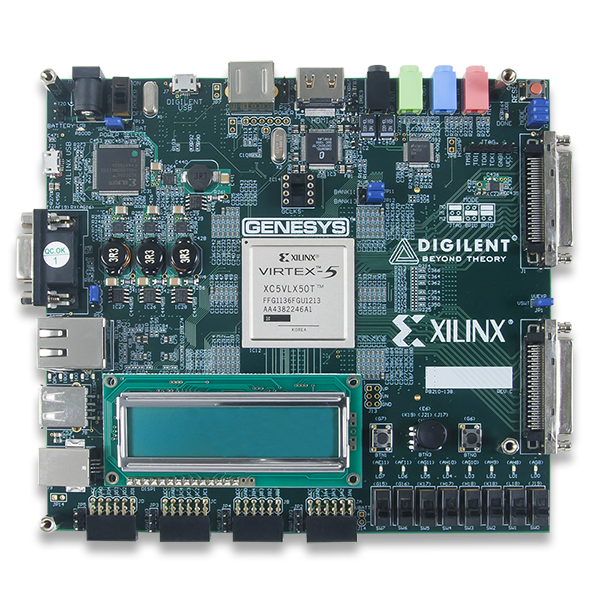 The Genesys circuit board is a complete, ready-to-use digital circuit development platform based on a Xilinx Virtex 5 LX50T. 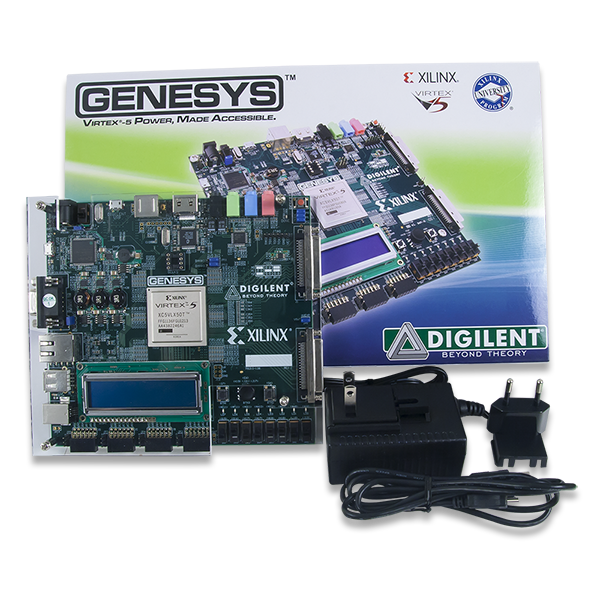 The large on-board collection of high-end peripherals, including Gbit Ethernet, HDMI Video, 64-bit DDR2 memory array, and audio and USB ports make the Genesys board an ideal host for complete digital systems, including embedded processor designs based on Xilinx’s MicroBlaze. 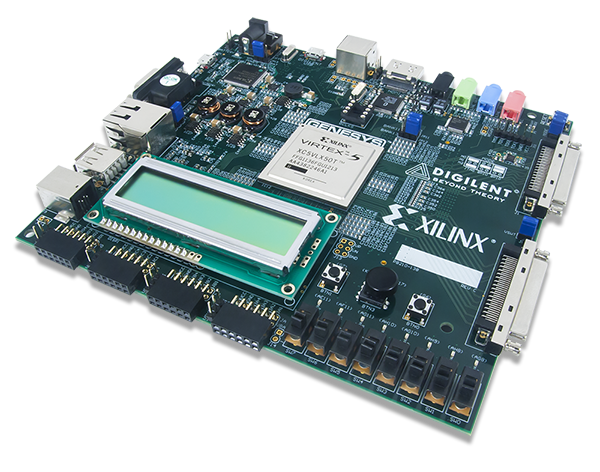 Genesys is compatible with all Xilinx CAD tools, including ChipScope, EDK, and the free WebPack, so designs can be completed at no extra cost. 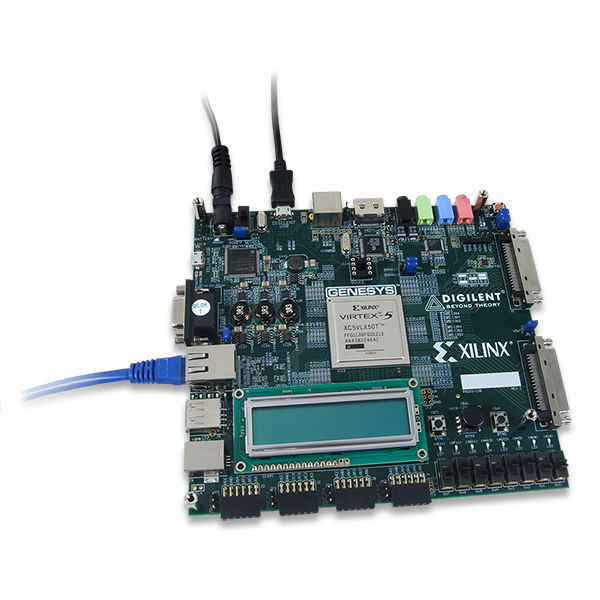 Ethernet demonstration project (LightWeight IP demonstration project originally for Xilinx ML505 ported to Genesys). This zip file contains an EDK demo project that illustrates how to use the Genesys AC97 codec with Microblaze. Tutorial and example project showing a Genesys-based design, generated with the EDK BSB wizard. A Microblaze based audio demo that demonstrates how to use the AC97 audio codec. 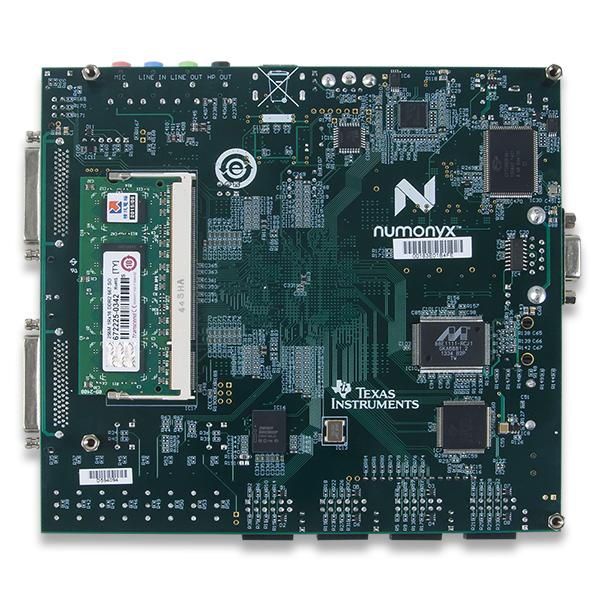 The source code for the out of box demo and test the exercises all onboard components. This is a very advanced Microblaze project and the source code for it may be difficult to follow, but it is useful to teach advanced users how to use specific components.